>haha that looks strange and delicious all at the same time. makes me want green bean casserole, and thanksgiving is just around the corner, YUM! 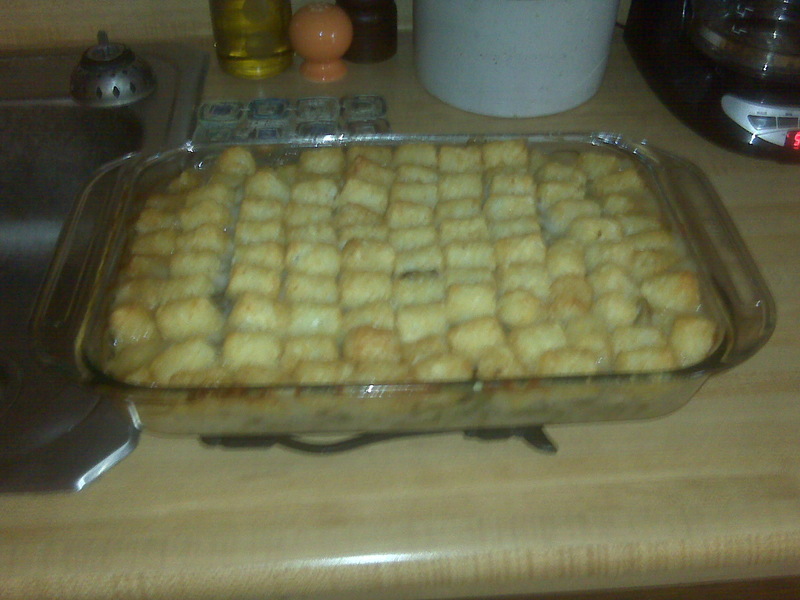 >It tastes very much like green bean casserole…only with beef and tator tots! It is sooo good, especially with some hot sauce on top!